Dinsmores Deluxe Carp Syndicate Goal Post Fishing Rod Pod With Buzz Bars & Carry Case Dinsmores Deluxe Carp Syndicate Goal Post Fishing Rod Pod With Buzz Bars & Case, this is a very sturdy rod pod designed to take 3 rods but can also be used for single or a pair of rods. 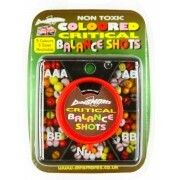 Made from qualit..
Dinsmores Non Toxic Matt Coating Coloured Stleath Egg Shot Sizes AB, BB, N01, No4 & No6 Dinsmores Stealth Egg Shot incorporates a new ZERO-REFLECTIVE matt coating in four natural colours. The combination of Dinsmores unique weight down egg shale and special coatings ensures perfect present..
Dinsmores Non Toxic Syndicate Coloured Critical Balance Shot Sizes AAA, AB, BB & No1 Dinsmores Critical Balance Shots are made in five popular boilie colours, and different sizes for the carp specialist to select from. Perfect bait presentation is vital and Dinsmores unique coating, me..
MDI 10" Fishermans Curved Locking Forceps. Features: - Fishing Forceps Curved 10". 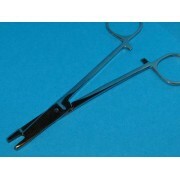 - Stainless Steel Curved forceps for easy removal of single and treble hooks. - The handles incorporate a locking system that allows hooks to be gripped firmly without fear of slippage. - With generous thumb an..
MDI 10" Fishermans Straight Locking Forceps. Features: - Fishing Forceps Straight 10". 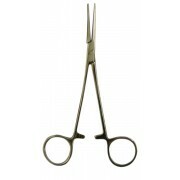 - Stainless Steel Straight forceps for easy removal of single and treble hooks. - The handles incorporate a locking system that allows hooks to be gripped firmly without fear of slippage. - With generous th..
MDI 12" Fishermans Curved Locking Forceps. Features: - Fishing Forceps Curved 10". 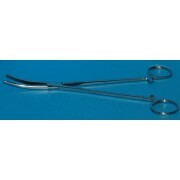 - Stainless Steel Curved forceps for easy removal of single and treble hooks. - The handles incorporate a locking system that allows hooks to be gripped firmly without fear of slippage. - With generous thumb an..
MDI 12" Fishermans Straight Locking Forceps. 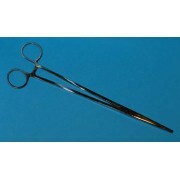 Features: - Fishing Forceps Straight 12". 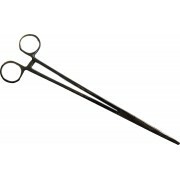 - Stainless Steel Straight forceps for easy removal of single and treble hooks. - The handles incorporate a locking system that allows hooks to be gripped firmly without fear of slippage. - With generous th..
MDI 8" Fishermans Curved Locking Forceps. Features: - Fishing Forceps Curved 8". 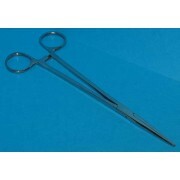 - Stainless Steel Curved forceps for easy removal of single and treble hooks. - The handles incorporate a locking system that allows hooks to be gripped firmly without fear of slippage. - With generous thumb and ..
MDI 8" Fishermans Straight Locking Forceps. Features: * Fishing Forceps Straight 8". * Stainless Steel Straight forceps for easy removal of single and treble hooks. * The handles incorporate a locking system that allows hooks to be gripped firmly without fear of slippage. * With generous thum..
Boilie Carp Catapult Code MD00253. Designed for Boilies, Particles & Groundbait. This fantastic Boilie Carp catapult will fire out boilies, Particles and Groundbait etc, very long distances. Features: - Hollow Power Elastic. - Strong soft mesh pouch. - Ergonomic easy grip handle. 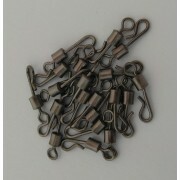 - Frame..
MDI Bulk Snap Links 26.5mm Long 0.9mm Gauge Wire Approx 100 Code MD00238. General purpose snap link in matt black finish. Ideal for quick release for rigs, leads, feeders etc. Approx 100 per Pack. 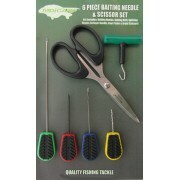 ..
MDI Carp 6pc Baiting Tool Set with Knot Puller For Carp Fishing. 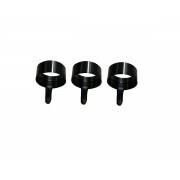 Flat style thumb grips for easier handling (in wet or dry conditions) on baiting needles and drill. Colour coded for quick find when in tackle box. 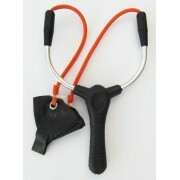 Knot puller to ensure all you rigs and knots will not let you down. Quality sharp ..
MDI Carp Baiting Gated Stringer Needle Tool for Carp, Barbel, Coarse Fishing Flat style thumb ANTI SKID grips for easier handling (in wet or dry conditions) on baiting needle. Colour coded for quick find when in tackle box. 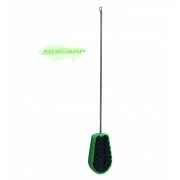 Features: Green Handle Non skid handle..
MDI Carp Baiting Hook/Needle Tool for Carp, Barbel, Coarse Fishing Flat style thumb ANTI SKID grips for easier handling (in wet or dry conditions) on baiting needle. Colour coded for quick find when in tackle box. Pack includes: Orange Handle Non skid handle Standard ne..
MDI Carp Deluxe Floating Folding Carp Fishing Weigh Sling 123x60cm with Carry Pouch. Clever designed to be compact floating weigh sling/floating retainer. This sling comes with foldable 11mm strong fibreglass poles, compacting down to a length of only 63cm. 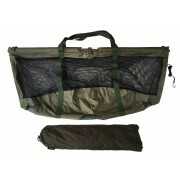 Zipped sides for allowing your carp..
MDI Carp Deluxe Folding Carp Weigh Sling Clever designed to be compact with foldable poles, compacting down to a length of only 63cm. 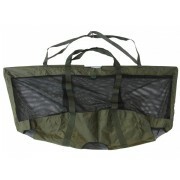 Zipped sides for allowing your carp to slide back into the water. 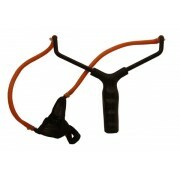 Strong webbing carrying handkes and weighing/support straps. Mesh and material constructio..
MDI Carp Deluxe Knot Puller, All Styles of Fishing (Saltwater proof) . A simply 10 seconds can save you from loosing that fish of a life time! A must for all anglers be it Carp, Pike, Sea, Match fishing were ever you have a link, swivel, braid, hook that you wish to test the kno..
MDI Carp Fishing Beanie Padded Folding Unhooking Mat Size 110cm x 70cm (43x27"). 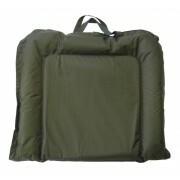 Offering protection for your prized fish, this Unhooking Matt measures a large 110x70cm and will handle large carp. 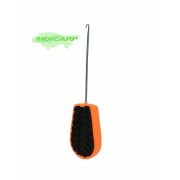 Folds in half with secure velco strap, for storage and easy transportation complete with carrying..
MDI Carp Marker Float 6.5inch High visible even at range. 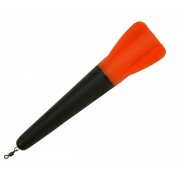 Excellent marker float or feature finder, complete with secure swivel to reduce tangling on cast. 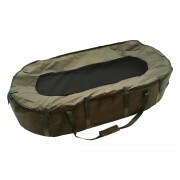 ..
MDI Carp Oval Fishing Cradle Protection Unhooking Mat Size 100x50cm Raised padded sides and removable foam base your prized catch will be safe at all times with half mesh cover to ensure safe retention of your fish. Also features long, strong support carry handles. 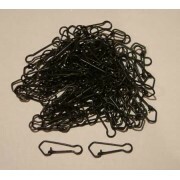 Under the removable foam ..
MDI Carp Pack of 10 Quick Change Matt Black Swivels Size 8 for Carp Fishing (Korda, Fox, Nash Compatible). 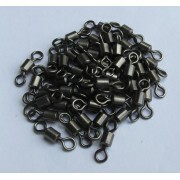 These quality high performance anti-glare Quick Change Swivels will not let you down, suitable for various applications in all styles of fishing from Carp, Pike, Sea, Spinning and coarse fis..
MDI Carp Pack of 20 Matt Black Swivels Size 8 for Carp Fishing (Korda, Fox, Nash Compatible). These quality high performance anti-glare Swivels will not let you down, suitable for various applications in all styles of fishing from Carp, Pike, Sea, Spinning and coarse fishing. Please note these..
Run Clips Pack of 3. Plastic run clips fit most carp rods. ..
MDI Carp Baiting Drill Tool for Carp, Barbel, Coarse Fishing Flat style thumb ANTI SKID grips for easier handling (in wet or dry conditions) on baiting needle. Colour coded for quick find when in tackle box. 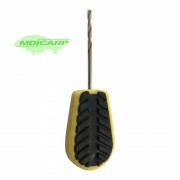 Pack includes: Yellow Handle Non skid handle 3cm Drill..
MDI Carp Super Boilie Catapult. Designed for Boilies. This fantastic distance catapult will fire out boilies up-to 60+ metre. Features: - Hollow Elastic. - Special design elastic connectors to aid distance and accuracy. - Strong pouch with grip. - Ergonomic soft touch handle with thumb hold ..
MDI Large Specialist Fishing Scissor Pliers. Super tool, sharp scissor blades with pliers to unhook your fish. Length 6" (15cm) ..
MDI Match 5m Lanyard with Handle 5 meter of cord simple attach by screwing accessories on the standard thread ideal for weed cutters etc. 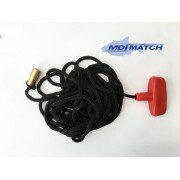 ..
MDI Match 9" Double Weed Cutter with 5m Lanyard This double weed cutter with 5 meter of cord can be cast to swims you cannot reach, just throw to the spot you want to fish and let it sink through the weeds before pulling back to the bank leaving your swim clear !!! 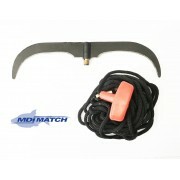 Alternatively just remove the co..
MDI Match Fishing 9" Double Weed Cutter. Sharp blades to quickly remove weed from your peg. Features: Standard brass thread 9" (230mm) long Double Blade ..
MDI Very Sharp Braid Scissors For Carp, Match, Game or Sea Fishing - Ideal for Mono. 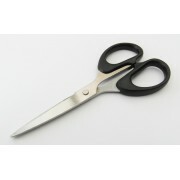 Quality sharp braid scissors, a must for any angler (also ideal for cutting monofilament lines). Good sized handles, 140mm total length. 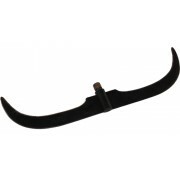 Features: - Ergonomic handle - 140mm long - Blade length 55mm - Very ..